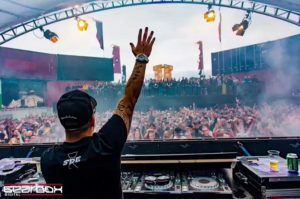 Wauw, what was Defqon 2018 great. We from Sunday doesn’t exist visited Defqon Saturday and Sunday, and we can say, what a cool party. We have meet great people, and we asked their opinion regarding SDE and the logo. Everybody was really existed regarding our logo and story behind it. Did any of you found 1 of our SDE stickers, we sticked them at every stage. 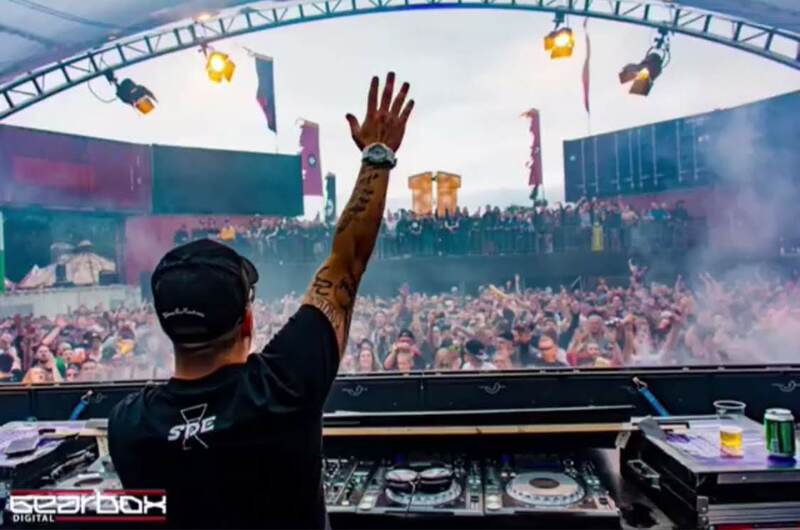 Then there was Sunday, and our good friend DJ Rooler was shooting his new videoclip at Defqon. Maybe some of you have seen it on our instagram page, BUT ROOLER WAS WEARING OUR SHIRT AND CAP!!!!!!!!! That was so cool, to see that our product is being loved by a DJ like that. We will post our Defqon photo’s on our instagram and also we will try to make a nice place to post all the photo’s at the homepage.